A must-have for gold panning and mineral recovery, this classification screen set will aid your efforts by sorting your raw materials based on size. 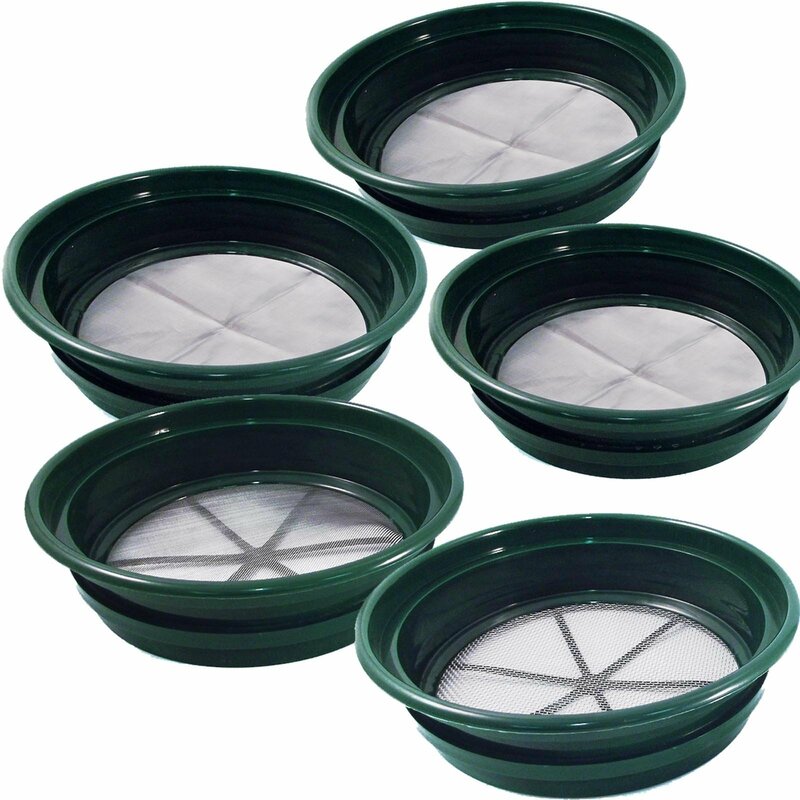 It comes with 5 different sifting pans, ensuring you'll be able to properly sift any size material. 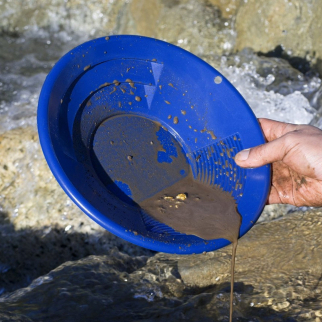 A must-have for gold panning and mineral recovery, this Gold Rush Classifier Sifting Set from ASR Outdoor will aid your efforts by sorting your raw materials based on size. 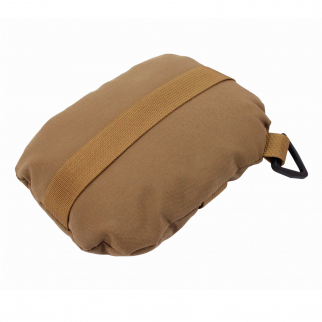 It comes with 5 different sifting pans, ensuring you'll be able to properly sift any size material. These sand and gravel screens are made of tough, high-impact plastic and 304 stainless steel wire mesh. Each screen will fit on a standard 5 gallon bucket, and they are stackable! Although gold is heavy, small flakes will not be able to displace larger rocks from your initial sample. Screening or "classifying" material into groups based on size will ensure that any gold, whether nuggets or flakes, will not get lost. In addition, looking through similar sized materials is a faster and more effective way to sort and will speed up the panning process, resulting in more gold! Make sure to grab this set of classifiers before your next gold sifting adventure! ASR Outdoor Blue 8 Inch Gold Mining Pan for Gold Prospecting 2 Riffle Types $ 5.99	• 54% off! 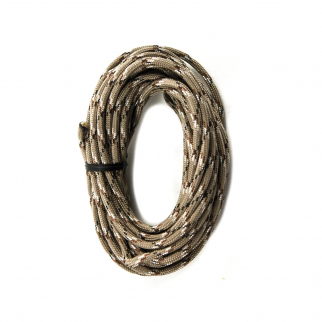 550lbs Strength Survival Paracord Rope Camping Hiking Desert Camo- 25ft $ 5.99	• 54% off!